Ella Raidel, Ph.D., is a filmmaker, artist and researcher. Since April 2019 she is Assistant Professor of Documentary film at NTU Singapore at ADM School of Art, Design and Media and WKWSCI School of Communication and Information. 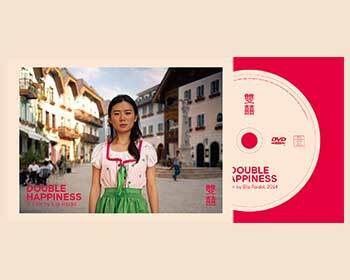 In her interdisciplinary work – films, videos, writings – she focuses on the socio-cultural impact of globalization with a focus on urbanization and Asian cinemas. She is interested in reflexive forms of narration in questioning the representation in documentary films. Her film-making corresponds with her writings on Sinophone cinema for researching the poetics in image-making. Her work has been presented and distinguished in numerous international film festivals, exhibitions and biennials. 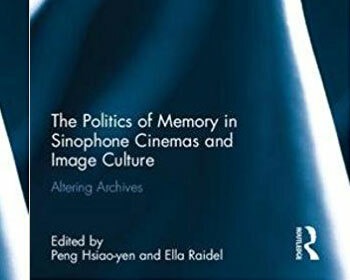 She is the co-editor (with Peng Hsiao-yen) of Altering Archives, The Politics of Memory in Sinophone Cinemas and Image Culture (Routledge Contemporary China Series 2018) and has publicized on Tsai Ming-Liang’s work. 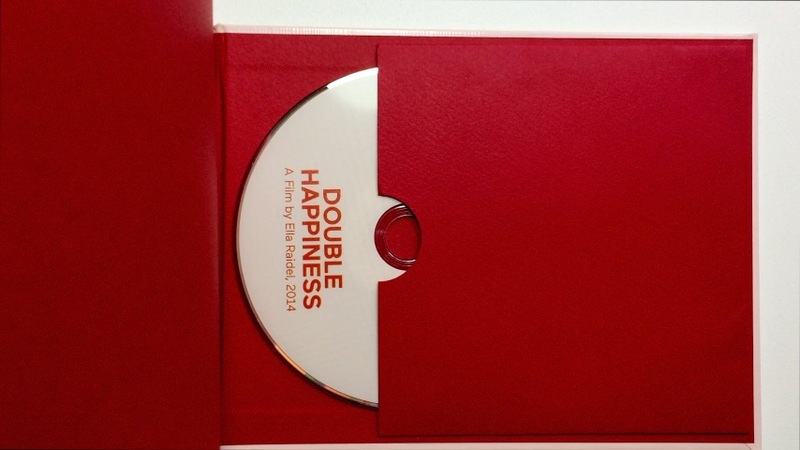 Double Happiness Booklet with DVD! Dieser surreal, exquisit kadrierte Dokumentarfilm sieht sich die Konstruktion einer fast exakten Kopie eines malerischen österreichischen Dorfes Hallstatt in einem unentwickelten Teil Chinas an. In einem hinreißend und spielerischen Stil, befragt der Film die Unterschiede zwischen real und imaginiert, Modell und Realität, stellt zum Nachdenken anregende Fragen über die Natur von Authentizität und Glück. Ausgestattet mit aufschlussreichen Interviews mit Städteplanern, Landschaftsdesignern und dem bahnbrechenden Pekinger Stararchitekten Ma Yansong. The Politics of Memory in Sinophone Cinemas and Image Culture investigates Sinophone films and art projects that express this desire for archiving and reconfiguring the past. 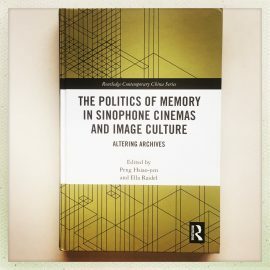 Comprising ten chapters, this book brings together contributors from an array of disciplines – artists, filmmakers, curators, film critics, and literary scholars – to grapple with the creative ambiguities of Sinophone cinemas and image culture. 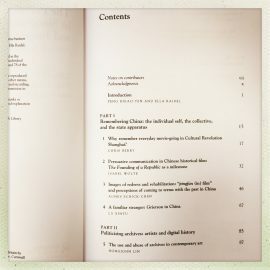 Blending eclectic methods of scholarly research, knowledge-making, and art-making into a new discursive space, the chapters address the diverse complexities of the cinematic culture and image production in Sinitic language regions. This articel sets out to examine the “exhausted narrative” in aesthetic and poetic experience, revealing the affect and effect of Tsai Ming-Liang’s film-making. He is notable for his obsession with ruins, defunct construction sites, abandoned buildings, and film itself as a modern ruin. 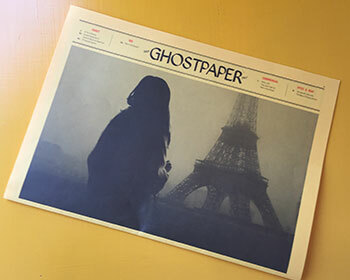 These sites are a reminder of the alienated subjects within its historical context, a fragmented narrative, and an uncertain or failed future to come, just like the ruin-a chapter of a halted story. 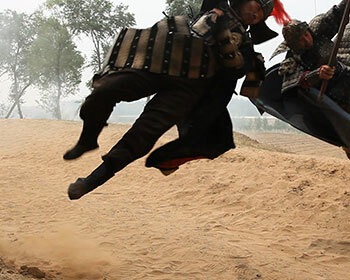 Tsai’s films are not only full of ruinous images and bodies, but even the fragmented narratives are ruinous, turning in elliptical circles, aiming toward their morbid ending until their total exhaustion. This cinematic ouroboros ophis will be discussed in two aspects: first, as an aesthetic practice, and second, as the parallelism between the onand off-screen reality of the mode of production and reception in the cinematic experience. 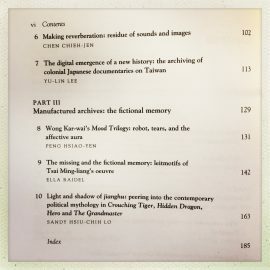 The term “exhausted narratives” refers to the processes of writing meta-fiction, as that of “re-orchestrating” and “re-editing” the past with respect to the present, and to inscribing Tsai’s own narrative universe.